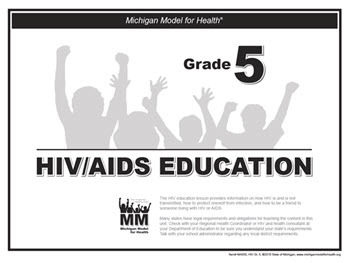 Grade 5 HIV Curriculum Section - Michigan Model for Health. HIV lessons are printed and distributed separately from the Grade 5 Teacher Manual because, in many states, approval by an advisory committee is required before HIV content can be taught in the classroom. Designed to be inserted into the manual once approved. Support materials purchased separately.